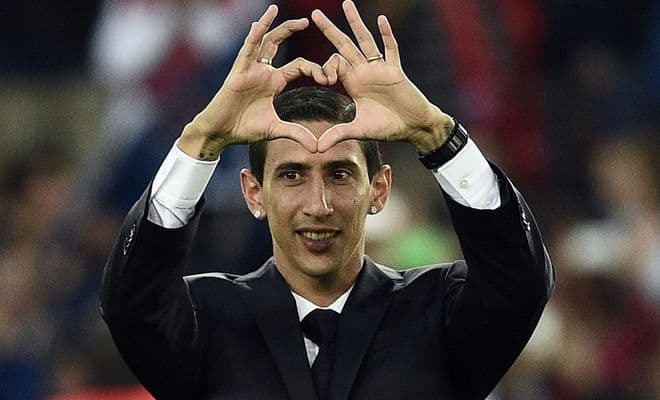 Ángel Di María has come to the football world accidentally in early childhood and remained in this sphere forever. The Argentinean managed to become famous due to his sports achievements not only in his native country. The midfielder helped to achieve victories to the teams from Spain, Portugal, England, and France. He has nearly reached Russia, but the negotiations have ceased. Ángel was born in the provincial town of Rosario in Argentina. 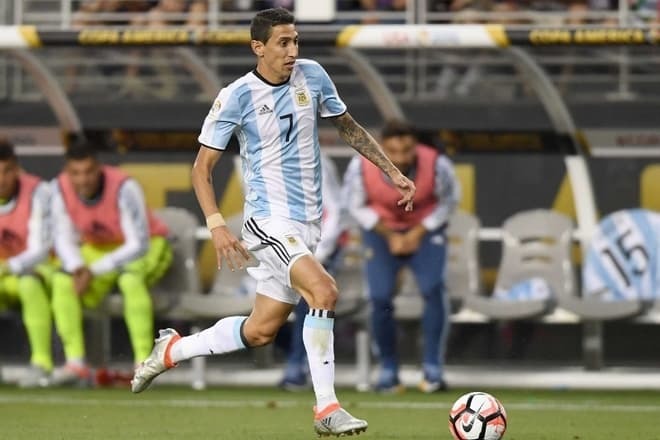 His father Miguel Di María also was a football player in his past, but he had to leave the sport because of the severe knee injury. The future star of football grew up a hyperactive child. His parents even took their child to the doctor. The doctor advised them to enroll their son in some sports section. The doctor told them that the boy would spend his inexhaustible energy here and would become calmer. At first they tried karate, but at last, they stopped their choice in football. Ángel began to kick the ball at the age of three and at seven he already played for the local El Torito Atletico team. 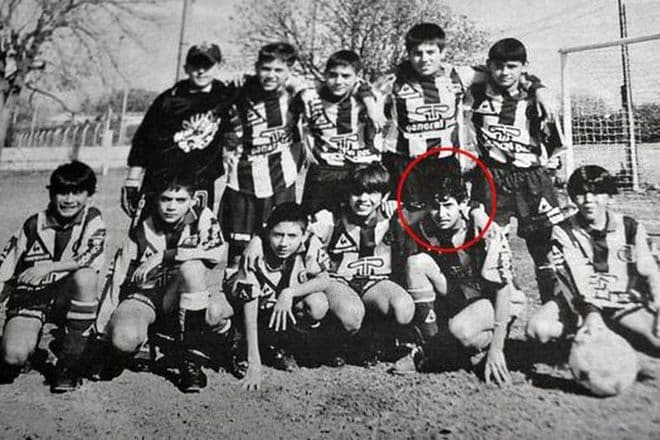 At the age of thirteen, he joined Rosario Central team. The football player spent his childhood in poverty. Ángel grew up in the large family. Except him, his parents brought up two daughters. His father and mother worked at the coal stack. They didn't have enough money, and they also had and to spend money on the expensive sportswear for their son. At the age of ten, the boy began to help his parents to earn money, as well as his sisters. In one of his interviews, he admitted that it was hard and exhausting work. 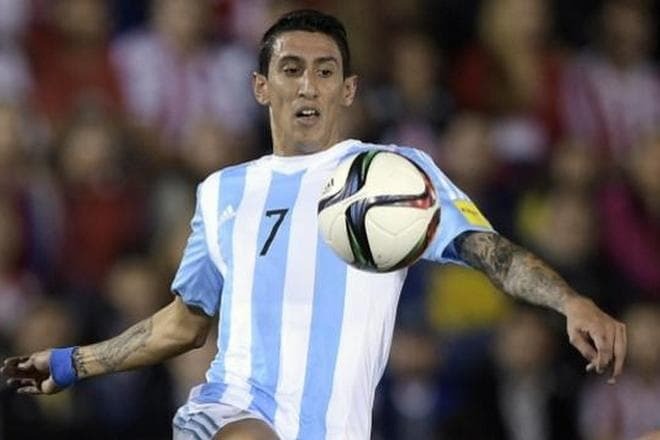 At the age of 17 Ángel Di María joined the primary structure of Rosario Central football club and got the midfielder's position. The young football player got the nickname of "Noodle" for high height and thinness (now the young man is 180 cm tall and weighs 70 kilos). Though the football player distinguished with diligence and persistence when achieving the goals, and also he is very talented and skilled. Therefore, soon the European football clubs noticed this experienced Argentinean player and he began to receive many offers on cooperation. In 2007 the Kazan Rubin football club applied for him. However, Ángel refused to Russians. The football player became even more popular after the fantastic game at FIFA U-20 World Cup 2007. Ángel Di María has scored three goals to the gate of the rivals and right after this Benfica FC (Portugal) purchased him to replace Simão Sabrosa. The sum of the transfer reached €6 million. As a member of the Portuguese football club, Ángel managed to demonstrate all his abilities. The team won the League Cup, and during the next season, his team became the winner for the second time. Besides, they became the champions of the country. The Argentinean footballer was playing so devotedly and expressively that he attracted the attention of the legendary Real Madrid football club. Already in 2010, he transferred to Real Madrid team. The royal club didn't regret spending €25 million for the new player. His career in the team of Real Madrid wasn’t successful. The young man distinguished in the Champions League of 2010: he passed goals to Karim Benzema and Cristiano Ronaldo, he scored goals one after another and this way he has led his team to 1/8, and then to the ¼ final. Such an event happened for the first time during the seven years for this football club. Two years later Real Madrid FC got the Spanish Super Cup and left Barcelona FC behind. Then the midfielder asked to raise his salary from €1,8 million to €3,5 million for a year, but the direction of the football club refused to do this. The management raised his wage up to €3 million for a season a year later. In 2014 the exciting event happened in the biography of the footballer. Manchester United purchased Ángel for the sky-high rate of 59,7 million sterlings. It was the first time when the English club was so generous. However, Di María spent only one season in the team of "red devils". There was a recession in his game, and he appeared at the bench more often. As a result, he transferred to French Paris Saint-Germain FC. In summer of 2017, the direction of Paris Saint-Germain announced that they were ready to say goodbye to Ángel Di María and also to Lucas Moura. St. Petersburg’s football club "Zenit" was going to purchase the Argentinean footballer. Ángel demonstrated his excellent football game in Portugal, what allowed him to join the national team of his native country and to attend the Olympic Games 2008. The football player enriched his list of awards with gold and became the Olympic champion. At FIFA World Cup 2014 Ángel wasn't successful though at the beginning he was leading the team whereas Messi couldn't begin to play. However, he got a trauma and didn't take part in the final match. 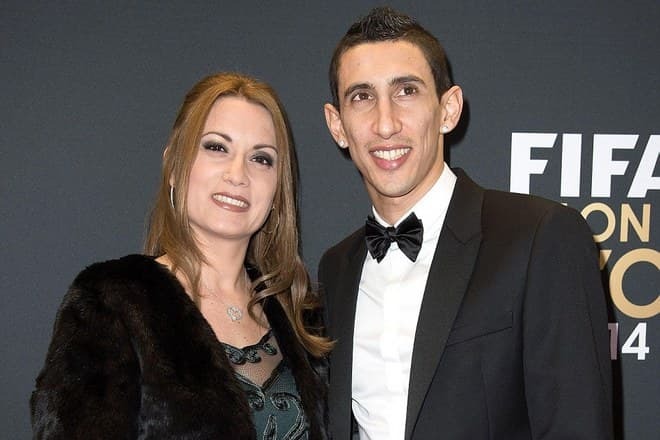 Ángel Di María’s wife - Jorgelina Cardoso is five years older than the footballer. The couple got married in 2011, and they still live in harmony. His wife is a number one fan of the football player. She is ready to dispute with the opponents in the social networks for any criticism. The woman doesn't hesitate to express her ideas on the decision of her husband's direction. In winter of 2018, she got angry at the coach Unai Emery for his choice of the team for the 1/8 final match at Champions League against Real Madrid. She wasn't satisfied because Ángel stayed at the bench during all the game. The spouses have two daughters. The senior Mia was born three months before the birth term, and the spouses somehow saved the life to their baby. Footballer's life shared her experiences in the social networks, posting the photos and commenting on how difficult it was to overcome difficulties together with her husband. Ángel has his page on Instagram and delights his subscribers with photos from family and football life. Sometimes he publishes pictures with some celebrities. So, his admirers were happy with the image of the sportsman together with the star of the movie "Taxi" - Samy Naceri. 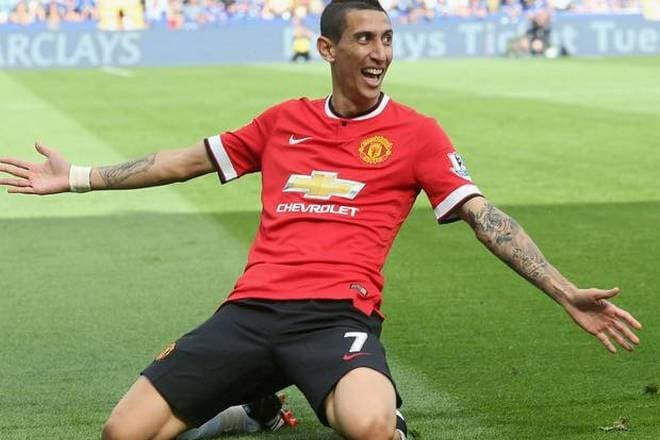 When his career began to take-off, and his salary became higher, Di María asked parents to leave their jobs. The football player bought houses for his relatives, including his sisters. Moreover, he supports them. The midfielder joined the national team of Argentina at FIFA World Cup 2018. His team debuted in the match with Iceland; the countries played in a draw. The fans were shocked by the next game – the Argentineans played against the Croats, and the last defeated their rivals with the score 3:0. They played the third tour with Nigerian team and got to the 1/8 final where they have lost to the French national team. During the championship the journalist from TNT Sports LA channel told some news to the fans of Argentina: after the tournament, some stars would leave the national team. Lucas Biglia and Javier Mascherano officially declared the finish of their international career. Marcos Rojo, Ángel Di María and also Lionel Messi and Gonzalo Higuaín are thinking about ending their international career.